Laura Mvula (vocals, keytar); James Douglas (cello, percussion); Dionne Douglas (violin, guitar); Oli Rockberger (keyboards); Karl Rasheed Abel (bass); Troy Miller (drums). 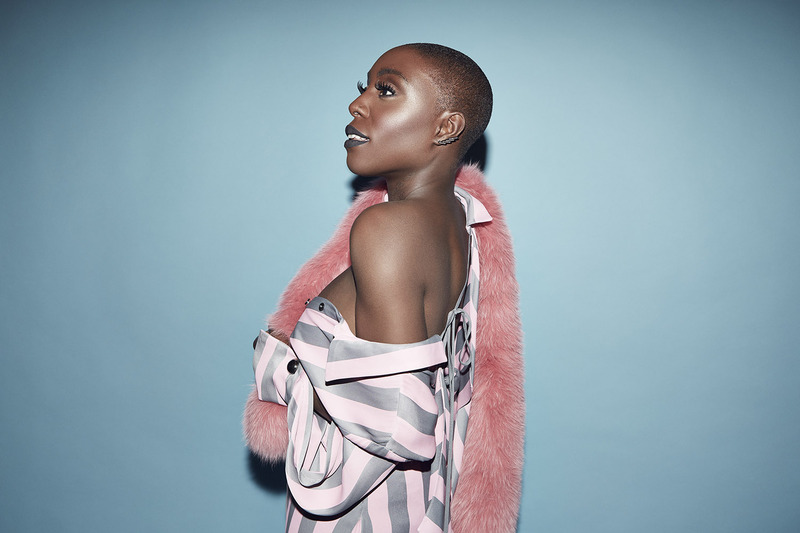 Since the release of her first album Sing To The Moon in 2013 a lot has happened in both the professional and the private life of British singer-songwriter Laura Mvula. In that year she performed at the North Sea Jazz Festival, where she made an impression with her high-spirited soul pop. At that time, she later admitted, she was mostly dead nervous before her performance. How different was her experience in 2015, when she performed with the Metropole Orkest, with whom she recorded an orchestral version of Sing To The Moon. Due to personal problems Mvula’s second album, The Dreaming Room, turned out a bit darker. But by showing her vulnerability Mvula also shows her enormous power, as well as her development as an artist. And even though she is sometimes still being compared to other singers like Amy Winehouse, Jill Scott and Nina Simone, Mvula’s sound is quite unique and always out of the ordinary.